The brothers Bo and Prosper are supposed to get seperated after their mother’s death, but Prosper won’t part with his little brother. Together they flee to Venice where they meet the mysterious Lord of Thief who offers them food and shelter. At the same time they have to hide from the private investigator their aunt and uncle hired to find them. While reading the book I fell in love with Venice, which only made it so much more devastating when the real Venice wasn’t as fascinating and magical as it appeared in the book, but I don’t blame the story for that. City of Beasts is the first installement of a trilogy, the sequels are called Kingdom of the Golden Dragon and Forest of the Pygmies. It revolves around Alex, who has to spend his vacations with his grandmother, an International Geographic reporter. 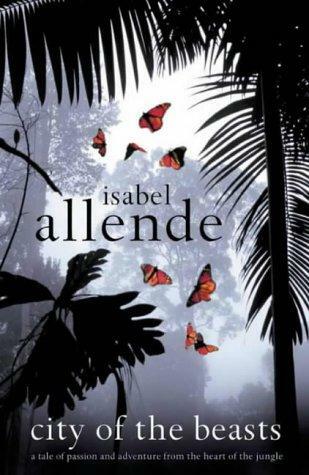 While they are in the Amazon region he meets Nadia, a girl a few years younger than him. They soon discover that they have certain animalistic powers and that is pretty much how they are able to deal with the difficult situations they are confronted with in all three books. I especially loved how every book took place on a different continent and how the friendship between Alex and Nadia developed into something more. Since I was a child that absolutely loved reading, there couldn’t have been anything more exciting than a book about people who can read characters out of another book. Books all over the place! I think Inkheart was the first book, where I really and wholeheartedly cared about the fate of a fictional character (Dustfinger – for all of you, who know the story). It’s magical and beautiful and I still think it’s one of the best young adult book series out there. The first book was made into a movie, featuring Brendan Fraser, Helen Mirren, Paul Bettany, Eliza Bennett, Andy Serkis, Sienna Guillory and many more, but I didn’t like the adaptation at all. 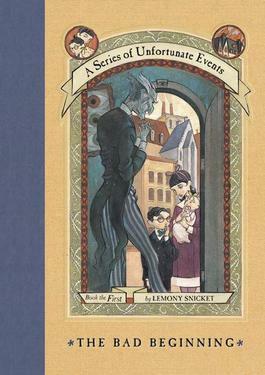 I guess the story could be considered quite dark for children, but I still loved it! 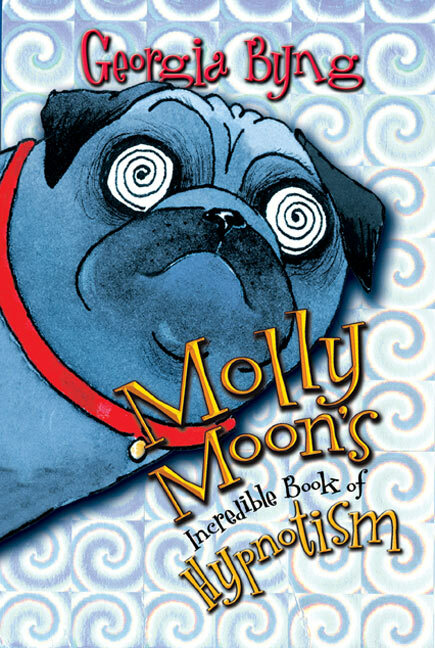 The first book of the Molly Moon series was published in 2002 and I have to admit I only read four of the existing six, because I kind of grew out of the story by the time the newer ones were published … and I am afraid the stories also weren’t as good as the first ones. Still, I definitely love the first book! It’s about Molly, an orphan, who’s life drastically changes when she masters the art of hypnosis. It’s certainly an exciting adventure that also let’s you appreciate what you have in life. After re-reading the list, I just noticed how many books revolve around the life of orphans. Did you read some of the same books when you were little? Did you like them or would they be on the bottom of the list of your childhood reads? 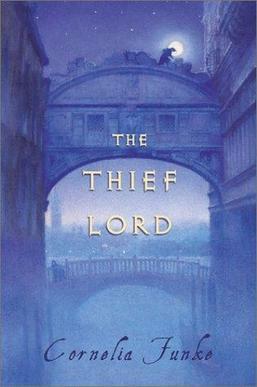 I loved The Thief Lord as well, and the movie too. I’ve never been to Venice either, but the magic is probably still there. You just have to look underneath the dirty water and plaster. It’s there. Otherwise my dad and his wife wouldn’t have enjoyed their stay there as much. By the way, three of my favorite fantasy series when I was young did involve orphans. Harry Potter, the Bartimaeus trilogy, and the Inheritance Cycle all starred orphans. Coincidence? Or maybe just an ingrained hope that if we were orphans, we’d grow up to be kind and true and have remarkable adventures? I’ve been to Venice, but I only liked it during the night time. I don’t know what exactly it was, but during the day were just too many tourists wherever you looked. I thought about the orphan-thing and I do believe that it is partially because of the hope that if something that terrible ever happened, life could still be adventurous and great, but I also think it has practical reasons. Imagine all those characters having parents that cared about them. A lot of the situations wouldn’t even be possible. Good point. Maybe I’ll do a post on this. Haha alright, I’m always glad to be an inspiration! Don’t expect it anytime soon though. I barely have enough time to eat some days! Don’t worry, I get that! There’s no rush at all. I’ll make sure to mention you when I write it though. Although that would be really cool and a nice thing of you to do, you don’t have to unless you really want to.